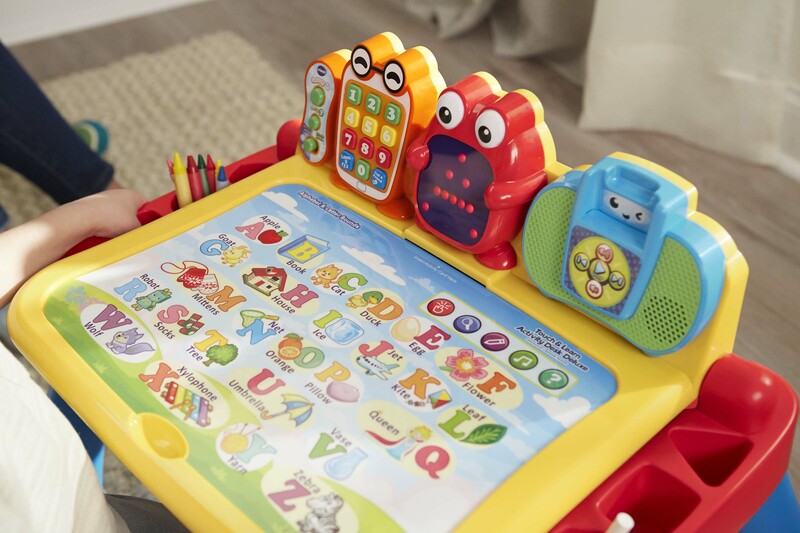 Today VTech® announces the availability of the Touch & Learn Activity Desk™ Deluxe, a three-in-one desk with interactive activity cards for more fun and discovery. 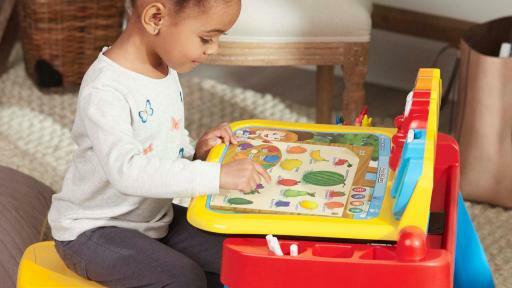 Building on the success of the original Touch & Learn Activity Desk™, the new deluxe version offers even more features parents and children will love, including grow-with-me content that is expandable for extended play value. 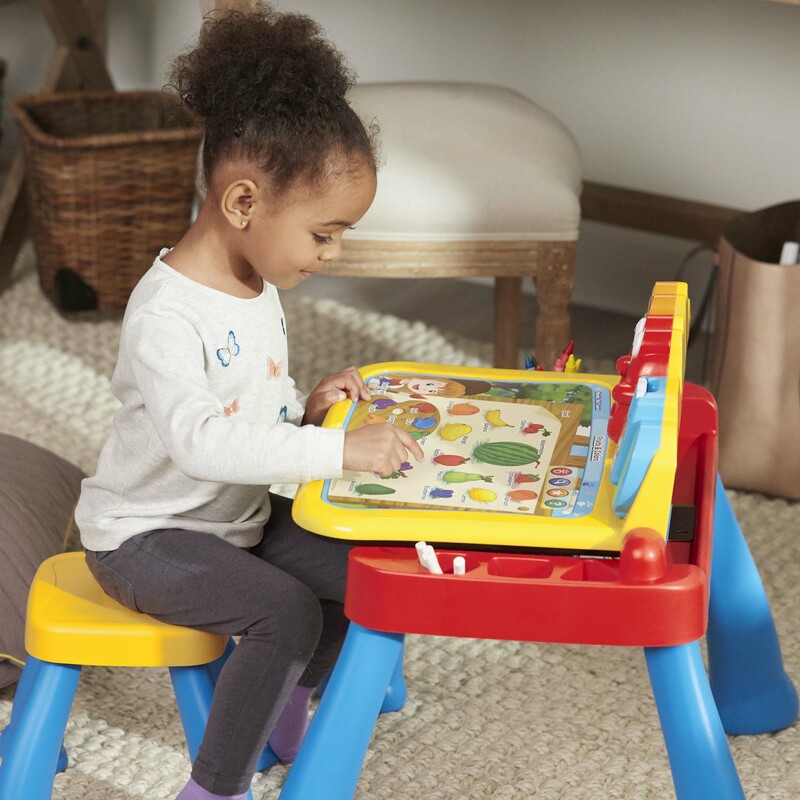 With an interactive desktop and five pages to explore, the Touch & Learn Activity Desk Deluxe is filled with engaging content including letters, numbers, music, colors and more. An LED display illustrates letter and number stroke order and how to draw basic shapes. 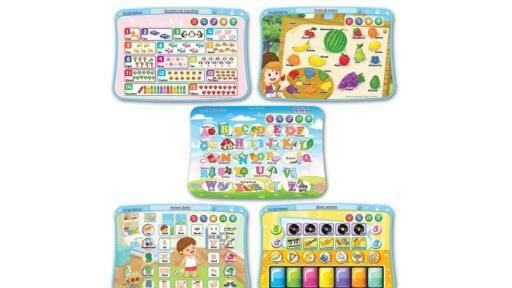 Eight expansion packs (each sold separately) each focus on a specific curriculum, such as reading skills, animals and numbers. 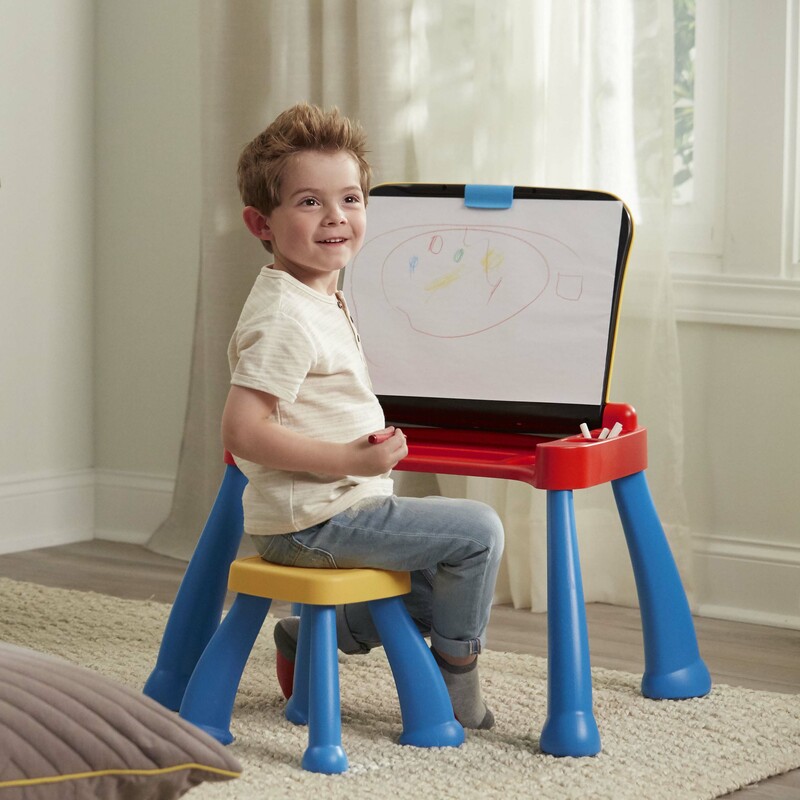 The Touch & Learn Activity Desk Deluxe has three modes as it transforms from a desk into an easel and chalkboard, with plenty of storage space for art supplies to encourage natural play and discovery. 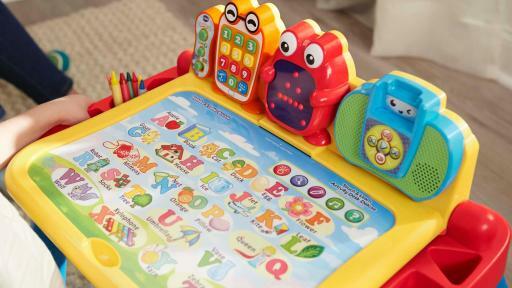 For even more fun, toddlers can play with the toy telephone or listen to fun tunes on the music player. 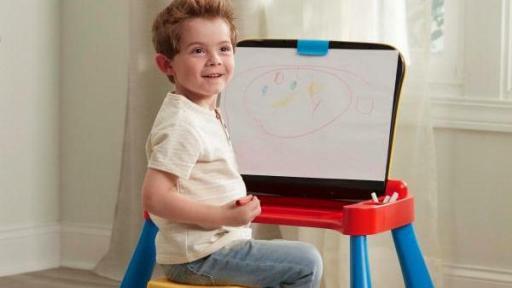 A stool is included so kids can enjoy hours of play with this creative and interactive system. 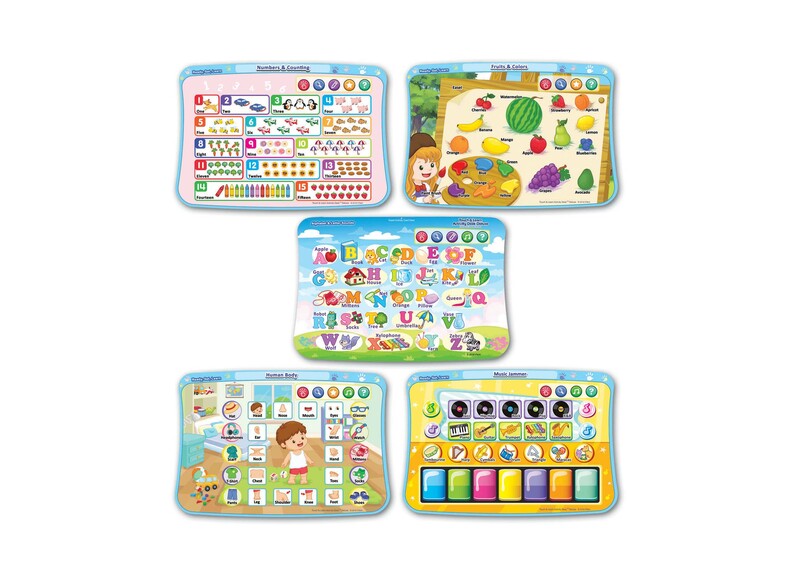 Designed for children between two and five years old, each Touch & Learn Activity Desk Deluxe expansion pack includes a cartridge and four double-sided pages that focus on a specific curriculum with additional engaging content. Expansion packs feature nursery rhymes, numbers, shapes, animals, preschool and kindergarten readiness, reading skills and foundational math. Each pack provides up to 26 activities with up to 180 interactive touch points for kids to explore. 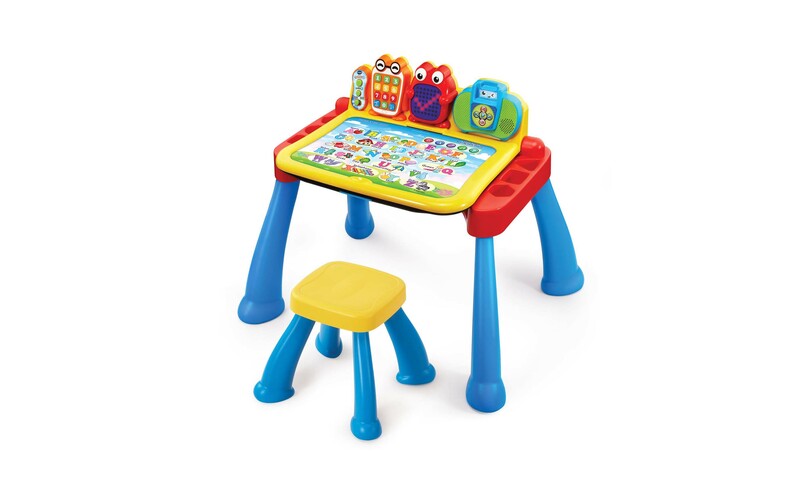 The Touch & Learn Activity Desk Deluxe retails for $54.99 and expansion packs are $9.99 each. It is available online now and at major retailers nationwide in August. 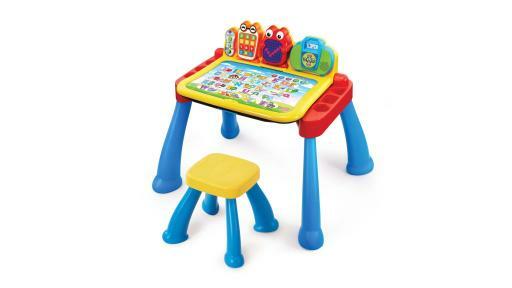 For more information and retail availability, visit www.vtechkids.com/activitydesk.